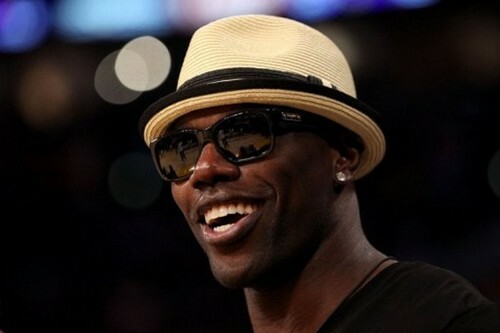 Terrell Owens parlayed his NFL resurgence into an off-the-field cause this week, helping to lift the spirits of a young boy in need. Owens reached out to 6-year-old Josiah Viera with a heartfelt e-mail and a package that included a jersey and his eighth touchdown ball of the season. Viera suffers from a rare genetic disease called Progeria. The life expectancy of a Progeria child is between 8 and 13 years old. Josiah, from Hegins, Pa., is aging at a faster rate than most Progeria children. “I can only guess from the e-mail that T.O. wrote me that Josiah’s story had touched him and inspired him,” Jennifer said. It was early in the second quarter last Sunday in Cincinnati that Owens caught the touchdown. It gave the Cincinnati Bengals a 14-7 lead over his former team, the Buffalo Bills. Owens said in an e-mail Thursday he would wear gloves for the rest of the seaon with Josiah’s initials on them. Josiah had been featured in a segment on ESPN’s “E:60” earlier this month. Owens later contacted Josiah’s mother via e-mail. Owens, 36, was considered by many around the NFL to be washed up and old this offseason. But he ranks among the NFL leaders in receiving after Week 11, already outperforming his numbers from a year ago.